This is it! 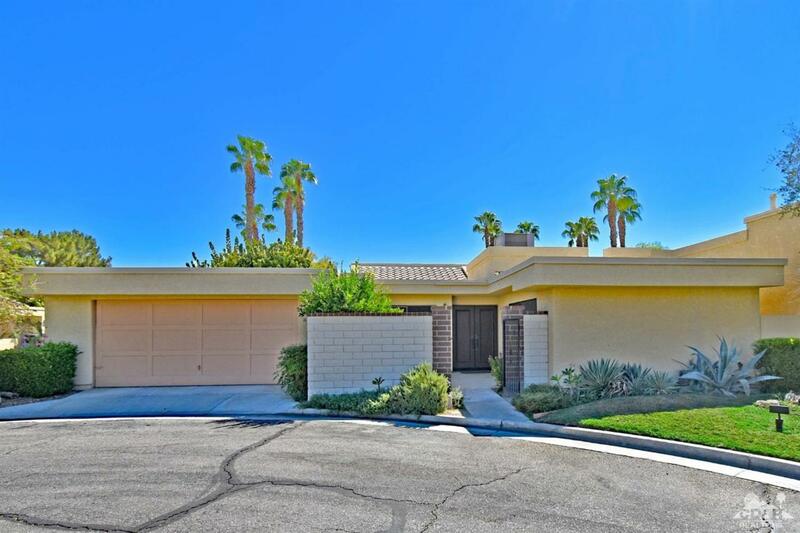 Located in the popular and quiet West Gate in Cathedral Canyon Country Club. This single level end unit has amazing mountain and pool views - just steps to the pool. 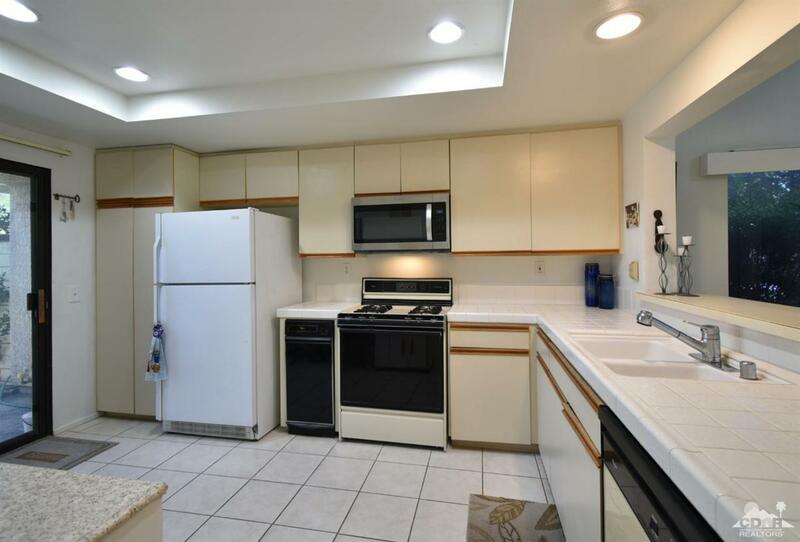 Features newer central heat & air and newer built in microwave. Offered turn-key furnished. This home is exceptionally clean and has dual pane windows, power roll down shades in living room and owner's suite, vaulted ceilings in the great room and ample privacy with sun screens on all of the windows. Enjoy a drink at the step down wet bar (or convert to a spacious den - many units have been converted). 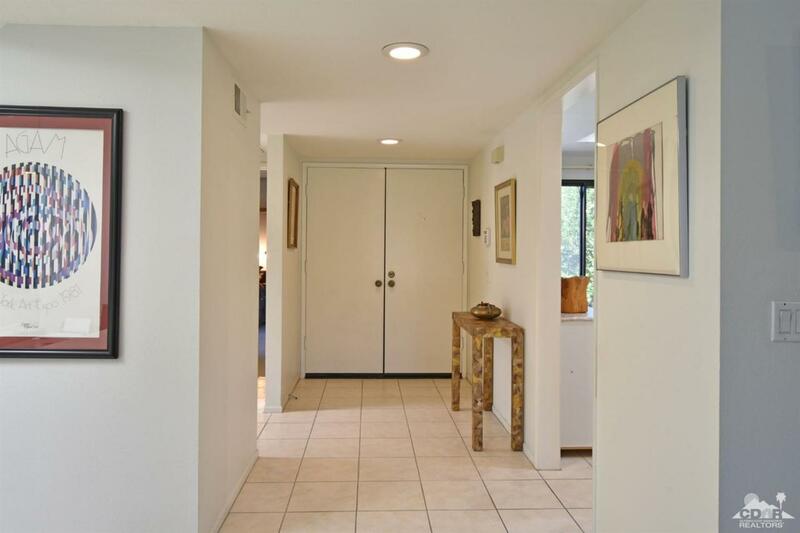 This home needs nothing - a true lock and go home in a wonderful guard gated community. One of the newer homes in the neighborhood. Listing provided courtesy of Greg Coltrin of Coltrin Real Estate.